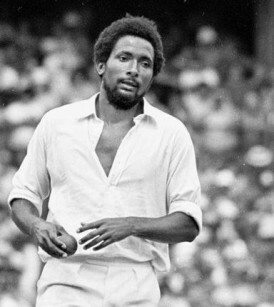 With West Indies and Australia currently locked in hopelessly one-sided combat Down Under, it is inevitable that thoughts turn to the glory days of Clive Lloyd’s reign as West Indies’ captain. While the West Indian cricketing authorities wrestle with the potential meltdown of the game in the Caribbean, Australia are also a side battling with an attempted return to ascendency after the fall of the champion outfits of Mark Taylor, Steve Waugh and Ricky Ponting. While Lloyd’s vintage are lauded as being in the pantheon of truly great sides of all time alongside Bradman’s 1948 Australians, a number of Australian teams of the more recent ‘Gold and Green Age” also vie for that honour. But which Australian team is best? When Steve Waugh’s 2002/03 vintage swept England aside to secure the Ashes in 11 days, the great Aussie all-rounder Keith Miller was moved to suggest that he had witnessed the greatest cricket team ever assembled by his countrymen. Some will, of course, take issue with the verdict of “Nugget”, although not all that many, since the great man himself had stood alongside Bradman as one of the 1948 “Invincibles”. If we do not quibble with the wisdom of the late, great Keith Miller and go with Waugh’s 2002/03 eleven day threshing machine as being the greatest of all Australians teams of the modern age, which Windies outfit of that great post-Packer era stands above all others? Conventional wisdom has it that Lloyd’s 1984/85 team was the finest assembled during the years which followed the World Series Cricket schism. This was certainly the view of Sir Donald Bradman, who argued that the 1984/85 West Indian tourists were the greatest fielding combination he had ever seen. Beginning in the Caribbean in early 1984, West Indies brushed aside the touring Australians 3-0 after drawing the opening two encounters of that series. Moving along to England, the home side were demolished 5-0 as Lloyd’s team inflicted the infamous “Blackwash” on David Gower’s side. Arriving in Australia just weeks later, West Indies looked as if they were going to replicate their series result in England with another clean sweep Down Under when they romped to an unassailable 3-0 lead. Only a fight back on a sluggish Melbourne pitch and victory on a turner’s paradise at Sydney enabled Australia to salvage some respectability with an eventual 3-1 series defeat. That 1984/85 unit had also set a Test record of 11 consecutive victories during 1984. But even so, was there a better, sharper West Indies side? As awe-inspiring as they were as a unit, there is a definite case for saying that the opposition faced by West Indies during their 1984 annus mirabilis was far from the most exacting. The Australians were then a team in transition: Lillee, Chappell and Marsh having retired, with the captaincy returning to the unfortunate Kim Hughes. An unharmonious tour of the Caribbean resulted in a 3-0 thrashing as fault lines developed within the squad. When West Indies returned to Australia later in the year the paucity of talent in the Australian game was but one factor that led to the excruciating spectacle that was Kim Hughes’ resignation. In England, the home side’s 5-0 stuffing must be placed in its proper context too. The year 1984 was the third since the ban on those players who had toured South Africa as ”rebels” in 1981/82. If some of those undergoing the ban from the national side were past their best anyway, their absence revealed that the county game was not grooming adequate replacements. Fragile against pace, and with shaky techniques, the batsmen were found wanting time and time again. An ageing Willis was hammered into retirement after the third Test, while seam and spin alike was simply crushed. In 1980 and 1980/81 England teams led by Ian Botham, although well beaten, did at least have the resolve and the experience to save games against the West Indies. The 1984 series, on the other hand, did at no point look like a contest. In agreeing to differ with the Don then, we will plump instead for an earlier – perhaps even deadlier – West Indian vintage. Still captained by Clive Lloyd, still containing Greenidge, Haynes, Richards, Holding and Garner, the 1979/80 West Indians were fresh from their Packer hot-housing and a second World Cup victory in that English summer. This was the first West Indian team to clinch a series victory in Australia, four years after their chastening 5-1 reverse in 1975/76. The transformation could not have been more startling. Inside four years Clive Lloyd’s men had climbed to the top of the world game, pummeling Australia on their home patch – winning two nil in a three Test series – after adding another World Cup to their name. Although they were relatively inexperienced in terms of Tests played – Garner, for instance, had placed just a handful of Test matches by late 1979 – the experience of their being together as a unit during the two Packer seasons meant that they had hardened together in the most competitive environment of all. After all, the likes of Greg Chappell, Imran Khan, Dennis Lillee, Asif Iqbal and Barry Richards all acknowledge those Packer WSC seasons as being the hardest, most rewarding and most competitive cricket that they had ever played. The 1979/80 team lacked Malcolm Marshall, however. Then just 21, “Maco” was not first choice at this point in time. In his place were the original Fantastic Four version of the pace quartet. Refreshed and reinvigorated until the mid-1990s, the rotating of four quick bowlers was the Windies modus operandi during their great years. “All four of us brought something different. I was the shortest and brought my experience. Michael, well, what more can you say about him? Garner and his height and unrelenting accuracy, and Colin Croft’s angle and pace – no other fast bowler ever bowled with that unique style from around the wicket, aiming to a batsman’s ribcage. What is beyond dispute is the effectiveness of that original foursome as a unit. In the eleven Tests they played together between the 1979/80 series and their return to Australia in 1981/82, Holding, Garner Roberts and Croft took a combined 172 wickets at 24.11. Larry Gomes, the diminutive Trinidadian stalwart who nudged and pushed his way around while all around him bludgeoned, was not yet first choice in the top order. In his stead, two exotic figures played out their Test careers in the West Indian batting line-up. Lawrence Rowe – whom Michael Holding reckoned was the finest batsman he ever saw – and Alvin Kallicharran were both entering the final stages of what had been occasionally frustrating international careers, despite their outrageous individual gifts. In the wicket-keeper’s spot Jeffrey Dujon had yet to make his debut while the venerable Deryck Murray still had possession of the gloves at this point in time. What, then, of our 2002/03 Australians? If the Caribbean summer of 1995 had seen the changing of the guard in the international game, with Mark Taylor’s tourists supplanting the West Indians as the game’s leading power, then by 2002/03 Australia were at roughly the half-way mark of their new golden age. Steve Waugh had taken over from Mark Taylor for the 1998/99 West Indies tour and their run of form then went into previously unchartered territory, culminating in the run of sixteen consecutive Test victories stretching through to 2001. Their Achilles Heel appeared to be India, where, like Taylor before him, Waugh’s 2001/02 team were beaten 2-1 in a three Test series in the subcontinent. At home in Australia, however, it was a different story as the 1999/2000 series ended in a comfortable whitewash for Waugh’s men. Waugh’s Australia were revolutionary in key aspects. Openers Hayden and Langer went for the bowling from the off, often scoring at four runs an over and assimilating the “pinch hitting” strategy of the limited overs game into the Test arena. Even Lloyd’s West Indians had not scored at such a frenetic pace. Although Waugh himself was reaching the end of his international career at this point, settled around him were a unit of match winners who had coalesced into the mightiest outfit of the age. The team that took their eighth successive Ashes series victory with the innings victory at Perth in the 3rd Test of 2002 was perhaps the finest of the whole era. Ricky Ponting followed Hayden and Langer at first drop, followed by Damien Martyn, Darren Lehman, Waugh himself, Adam Gilchrist, Shane Warne, Brett Lee, Jason Gillespie and Glenn McGrath. As Ricky Ponting had become the finest Australian batsman since Greg Chappell, then so too Adam Gilchrist had transformed himself into the greatest ‘keeper-batsman of them all. Warne was still irresistible, having single-handedly revitalised the art of leg-spin. Where batsmen once shuddered at the pace battery, now they quaked at the sight of the stocky blonde going through his paces as he prepared to come on to bowl. So, is the argument settled? Would the clash of the ages result in a comfortable victory for the team from the most recent past? There are, of course, severe limitations to these generational comparisons. There are advances in cricket safety equipment, alterations to laws governing the game itself, pitch conditions and curation, advances in physical fitness and nutrition to consider, among many other variables. That said, from an Australian viewpoint, Steve Waugh was able to call on a fabulously balanced bowling attack, with genuine speed in the person of Brett Lee, alongside the more metronomic tendencies of his co-spearhead Glenn McGrath. Assisted in the seam department by Jason Gillespie, McGrath and Lee could also call on a once in a generation phenomenon in Shane Warne. The West Indians of the Lloyd (and Richards) era had never been faced with a leg-break bowler of Warne’s calibre. Their track record of dealing with any leg-spin during this era is not totally encouraging, however. Although not in Warne’s class, the veteran leggie Bob Holland bowled the West Indies out on a crumbling Sydney pitch over the course of the New Year period in 1985. In Faisalabad in late 1986 Abdul Qadir appeared to tie the whole line-up in knots as he shot them out – Richards, Greenidge, Haynes, Richardson et al – for a paltry 53 to win the Test. Moreover, a couple of WSC encounters during the 1983/84 season saw Qadir inflict similar damage, although admittedly on helpful surfaces. With Warne in their side, possessing a mixture of aggression, control and guile that the West Indians had not encountered during their heyday, the Australians could rightly lay claim to having a player that could sway things their way. Similarly, the sheer speed at which they set about their run-making meant that most bowling attacks would easily wilt under the onslaught. As Chris Cairns has pointed out, even in the middle order, Gilchrist was capable of swinging a game both brutally and quickly. The West Indians of the Packer aftermath were not just any side, though. Against a formidably fit and talented pace quartet it is somehow difficult to see Matthew Hayden stepping down the track with that long right leg of his and biffing away at Holding, Roberts, Croft and Garner. Footage of Garner cramping up Greg Chappell in the 1979/80 series, along with Holding hurling thunderbolts at Laird and a clearly unnerved Rick McCosker in that year’s Brisbane Test, are not images which easily encourage thoughts of batsmen rocking onto the front foot and aiming for four runs an over from the off. The impact of the changes to Law 42 governing the use of intimidatory bowling should also not be dismissed lightly. After 1991, with edicts from the ICC which meant limitations on the number of bouncers bowled per over, the element of surprise which went with facing a constant stream of express pace was severely muted. Front foot players then knew that after one, or perhaps two, short-pitched deliveries, the threat had been surmounted for the over. Although many will interpret this as being a change that would favour the Australians, the Windies pace quartet did not simply rule by brute force. After all, only in New Zealand in 1979/80 did the team lose a series during their 15 year long reign at the pinnacle of the game. Where the Australians twice wilted in India, under both Mark Taylor and Waugh, Clive Lloyd’s 1983/84 vintage annihilated the home side 3-0 in a six Test series, despite bowling conditions which were far from conducive to high pace. With the bat, Richards, Lloyd, Greenidge and Haynes would have been as set for a challenge as the Australians themselves. Where once Richards had deliberately targeted Thomson and Lillee, surely against a 2002 vintage he would have gone after McGrath, Lee and Gillespie in the same fashion. It might even come down to a duel between two of the five Wisden cricketers of the twentieth century, Viv Richards and Shane Warne. How fascinating it would be to see them try to outwit the other, with surely no quarter given. So where would the money go? Take a bouncy, hard Perth, a humid ‘Gabba, a gentle turning Adelaide and then throw in a concrete hard Melbourne, together with a true SCG which develops into a turning, fizzing last day surface and we are set fair for a five Test series classic. Ultimately, it is the avuncular figure from Guyana, Clive Lloyd, who commiserates with Steve Waugh at the end of a hard-fought series which ends 3-2 in West Indies’ favour. Don’t forget the 79/80 Windies side got beaten by NZ. They couldn’t handle Hadlee – best bowler since Barnes. When Australia went up against Flintoff, Jones, Harmison, Hoggard and Giles they lost. I think Roberts, Holding, Garner and Croft would of seen then edge out the series yet Warne would of been the big factor. I agree with the results 3-2 in favour of WI. However if the matches were to be played in the West Indies, Jamaica, Barbados, Trinidad, Guyana and Antigua. I think the results would be different. WI will certainly beat them in Jamaica and Barbados. Trinidad may be an interesting venue with Warne factor coming into play and the match could go either way. Guyana and Antigua may see drawn encounters. To the point about WI losing in New Zealand, the whole world knows about the umpires playing a huge part in the home side win. I seriously doubt NZ would have beaten WI even in a single match if the matches were played in WI in the same era. They would have been walloped just as other sides were during that period.